These extra-thick bonito flakes have been seasoned with soy sauce to highlight the their smoky flavor. They make a perfect addition to salads and are often used as a healthier, low-fat substitute for bacon. The thick slices also can be served as appetizer with beer or wine. *NOTE: The supplier of this product is currently experiencing a shortage. The product is still available but it might take longer than usual for it to arrive. Please inquire at the time of your order. Tenpaku is one of the few remaining traditional makers of katsuobushi. The Tenpaku family has a very long history in making katsuobushi but it is only in 1946 that the family established its own business, which now is run by the fourth generation. The current owner Yukiaki Tenpaku is focusing on quality rather than quantity and a bonito block will only be sold after it went through multiple cycles of drying, smoking and fermentation until the fish's natural fat become umami. Raw Bonito fillets are first glutted, sliced and simmered in water for about an hour. Fat, scales and bones are then removed from the soft fillets. The fish slices are then smoked on wood to dry and develop a more complex flavor. They then are sun dried and exposed to fermentation with four repetitions to further reduce moisture. Finished Katsuobushi only has 20% of the volume of the original fish fillet. 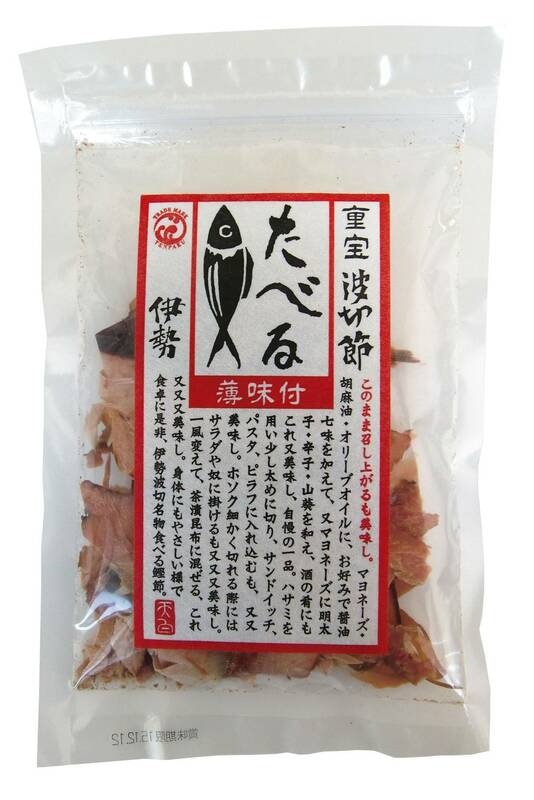 Tenpaku katsuobushi is very popular among chefs of high quality restaurants in Kyoto and all over Japan, who do not wish to compromise on quality. Chef's in Japan use a whole block to shave fresh flakes, but nowadays also rely on Tenpaku's Bonito Flakes and Dashi Pack when they require speed and good flavor alike.